Despite what your mother always told you, it is true that people have favorites. For me, the events I have planned are like my babies and I definitely have favorites. One of those was an event called The Ball on The Mall. In 2007, I was hired by an awesome non-profit called Trust for the National Mall which was is the official partner of the National Park Service to restore and renovate the National Mall. Having lived in DC for a while by that point, I had spent a good amount of time on or around the Mall and the idea of being involved in its restoration was exciting. 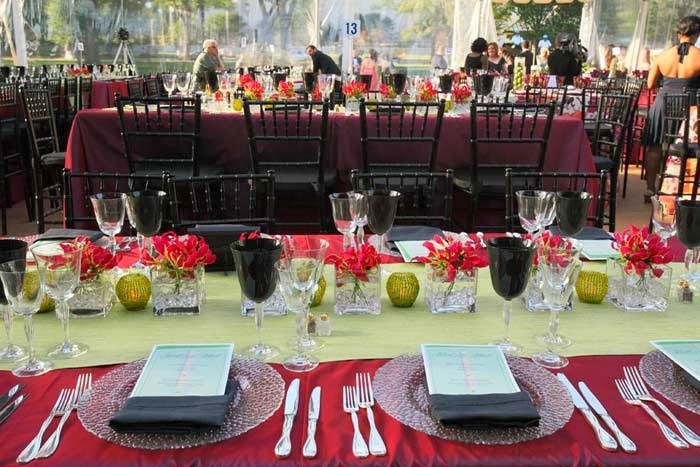 The Trust brought me on to create a signature fundraising event for them called The Benefit Luncheon. 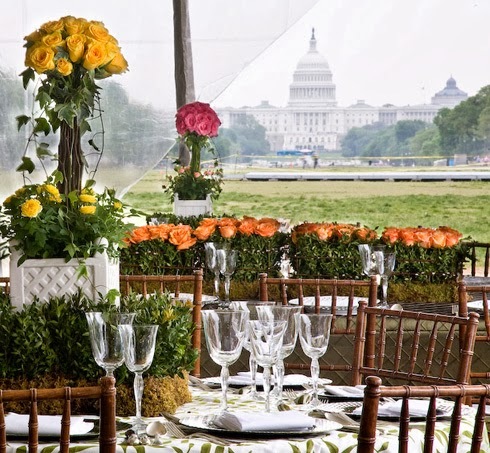 We constructed a tent right on the Mall with views of the Washington Monument and The Capitol dome and invited ladies to wear their favorite spring hats to the event. It was a huge success, raising more than $600,000 in its first year. It has gone on to raise millions for the Trust and is a perennial favorite among the DC social set. 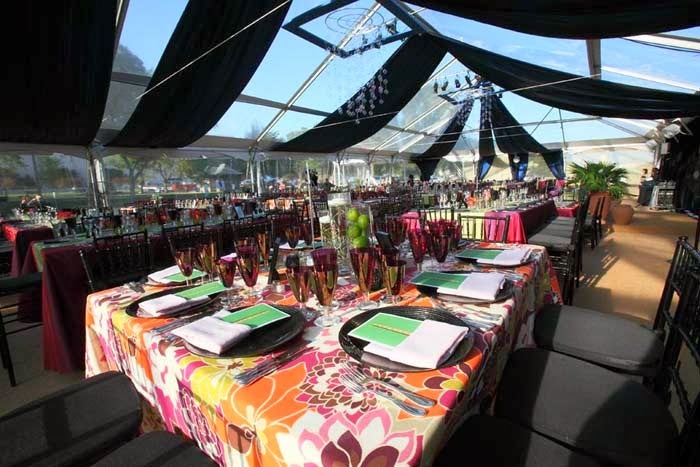 Here's a shot from inside the first luncheon tent. Stunning right? 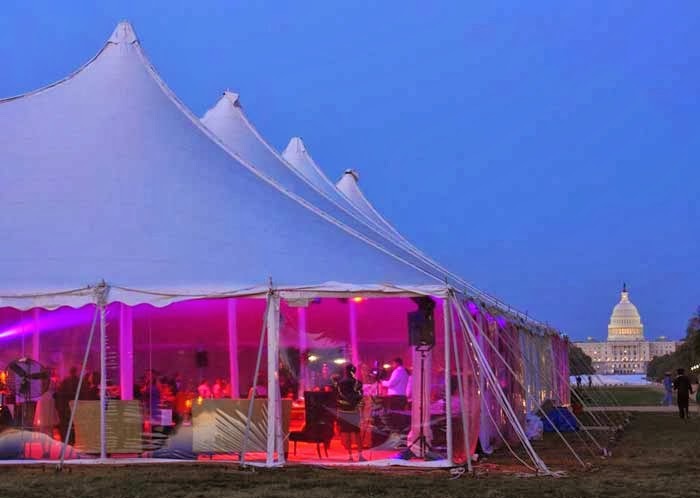 But we put so much time and effort into constructing the tent and all of the necessary infrastructure for an event - kitchen, bathrooms, electrical, etc. - it felt sad to tear it all down after just one four hour luncheon. 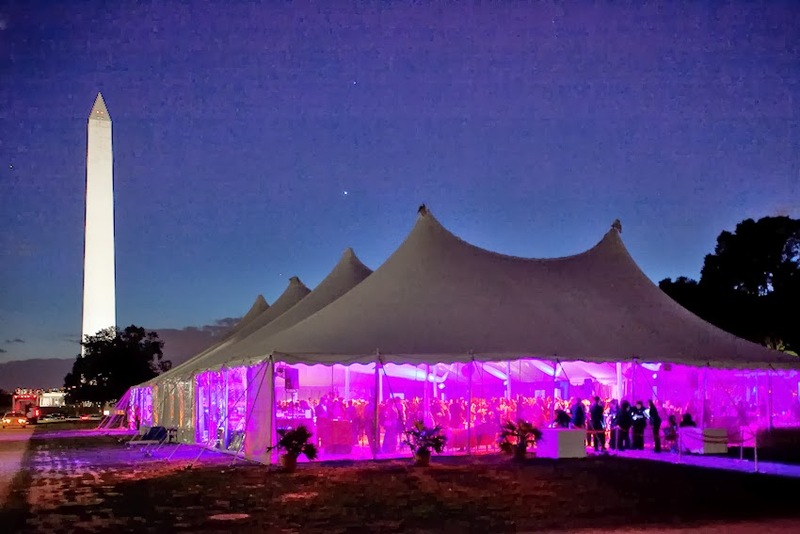 So my colleague Lindsay and I hatched a plan to keep the tent up for an extra few days and create an event for young professionals - and the Ball on the Mall was born! The success of that first year, and several after that, was due to the people we got involved in the planning and promotion of the Ball. We named this group the L'Enfant Society and we recruited many of my friends, colleagues and even my husband to be involved. And they made it what it became - which was one of the most popular events in town. Here are some pics of the VIP dinner in 2010 which included remarks from Rick (not Ricky) Schroder and if you don't know who that is, check out Silver Spoons. We had incredible participants including celebrities, Ambassadors, Members of Congress, etc. The guest list and number of sponsors grew each year as did the awareness the event generated for the good work the Trust is doing to make America's Front Yard a place everyone can be proud of and enjoy. In 2011 our theme revolved around Japan and I love the way the decor turned out that year with giant paper cranes and paper lanterns. Last week, the Trust announced that they would not be hosting Ball on the Mall this year. I have long since left and don't know any more about why - but I will always love the memory of this great event. Just don't tell the others that it was my fav! A quick shout out to some the vendors who worked so hard on these events. THEY are my favs too!